What a week we had in CT High School lacrosse. We’re halfway through April and it’s safe to say ranking every team not named Darien is a total toss-up. We’ve got a great week of lacrosse ahead of us. Several top matchups across the state and even the top college kids come to town with UVA and Vermont playing at New Canaan on Saturday. (Side note – the fact these tickets cost $30 is absurd, and New Canaan is selling them as a package to see the Rams take on St. Anthony’s.) I love lacrosse but that’s a scam. Find me at Darien on Saturday when they take on Wilton. Nevertheless, the rankings below have been determined based off of results up until 4/17. Darien – The Wave had a nice come-from-behind win over cross-sound rival Manhasset. They trailed through the majority of the game until sneaking out the win. Darien obviously knows how to grind and the ability to find a way to win after slow starts is something that has separated them from their FCIAC counterparts. I don’t think Darien will make it through the FCIAC regular season without losing. Maybe the streak will end when then Wave host Wilton this weekend? Wilton – It’s been a wacky 10 days for the Warriors. They blew an 8-4 halftime lead against New Canaan and nearly lost to Fordham Prep at home. An impressive one-goal loss at Chaminade yesterday shows signs that maybe Wilton is turning the corner and beginning to find a rhythm. If Wilton can get clicking this team has potential to be electric and could run with anyone in the country. The NC loss is bad but typical of an early season Wilton team. New Canaan – A great team win in the comeback against Wilton but getting dismantled by Brunswick doesn’t sit well in Ram country. ‘Wick may be the best team in the country and it’s clear NC doesn’t have the guns they typically do. Never fear, Buzzeo will have his boys ready to play, no matter what lineup he throws out there. The Rams have a tough week as they play Avon Old Farms today and St. Anthony’s this weekend in Laxapalooza at New Canaan High School. Ridgefield – The Tigers knocked off Greenwich in a game they were expected to win but then took a tough L at home against Yorktown. (Insert comments about spring weather here). This is a bad loss for the guys from Tiger Hollow and it goes back to what was noted last week in the Tigers looking for an offensive identity. Safe to say, Ridgefield needs Gatto back. Weston Carpenter can’t do it all. New Fairfield – The Rebels have yet to be tested, winning every game by double digits. They play Weston this week who may be their toughest opponent yet. I don’t see them losing this game. Rebels roll by at least 5 against the Trojans. Quite frankly I don’t see NF losing a regular season game, but they’ll definitely be tested along the way. 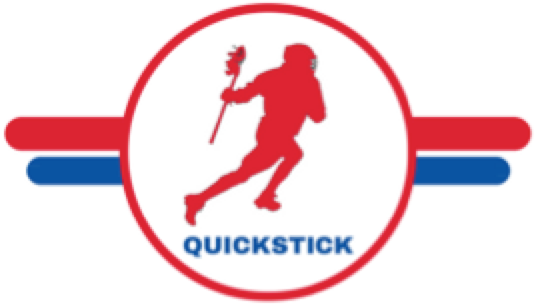 Also, shoutout to the NF fellas for being loyal QuickStick followers on Instagram from the start. You guys know who you are. Fairfield Prep – Boy, do those white helmets look… different? The Jesuits are 2-2 with easy wins in-state and two defeats against Long Island powers Chaminade and Massapequa. Prep shouldn’t be too challenged in the SCC but their out of conference schedule has some exciting games to look forward to over the coming weeks. LaxPower forum note: People been talking a lot about Reale (Villanova) but someone noted Grandolfo (Air Force) and they’re right Ethan Grandolfo has been a starter since his freshman year for the Jesuits. A slick lefty, whose game reminds me of a younger Kevin Lindley. Staples – A cakewalk schedule had the Wreckers sitting at 7-0 but then they ran into Greenwich, a team with something to prove. The loss to Greenwich is surprising but not unexpected. This game has become a rivalry for both teams and in years’ past has been a complete toss-up. Staples only has one game this week when they play pesky Trumbull this week, a game they can’t sleep on. Ridgefield and Wilton looming in the distance and a chance for the Wreckers to prove they’re a contender in the FCIAC. The front line talent is there, but as noted last week, depth could be the question for Coach Mac’s gents. Greenwich – Are the baby Cardinals growing up? Not gonna lie, we were doing the math about them not making states but they’ve bounced back nicely after handily beating St. Joe’s and upsetting Staples last night. This team has offensive weapons. The duo of Baugher and Feda is arguably one of the best in the state. The issue with these guys is their defensive depth but as time goes on the Cards will come into their own. They’ll enjoy their win against Staples, the subs will beat Trinity Catholic, but in the Battle for Greenwich this weekend, the looming question is will Brunswick win by 14+? Glastonbury – A pick that last week had some LaxPower forums contributors spinning, but they’re right where they belong. Similar to Greenwich, this Glastonbury team is young and needs to find their way. After losing to Guilford and Pleasantville to start the year, the Tomahawks have won four straight including a strong win over northern CT rival Cheshire and SWC contender Joel Barlow. Daniel Hand – The boys from Madison knocked off Cheshire in OT. A nice win during early season SCC play. A date with Glastonbury this weekend will determine which of these teams remains in the Top 10 next week. Also, are we set to see a Daniel Hand vs New Fairfield Class M Final? Note: Reasoning for ranking Wilton over NC. Wilton blew that game against NC. Seeing their one-goal loss to Chaminade (a Top 10 team in the nation) says more to us about the NC loss being a fluke than NC being a top 2 team in the state. Also, NC losing to Brunswick by 14 is a bruiser of a result. As always, please follow us on social media, we post daily content on our Instagram and Twitter accounts. Feel free to tweet at us or DM as discussions/debates are always open! @QuickStickBlog on both platforms!